EMAIL OR FIND US ON FACEBOOK TODAY! 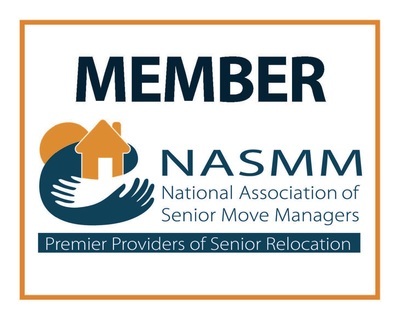 boomer-rang Services is a local full service Senior Move Management company and member of NASMM (National Association of Senior Move Managers). The owners are baby boomers themselves and understand first hand the difficulties of being what being in the sandwich generation can pose with aging parents and growing children. Esther and Joy (your personal Boomers) will provide you with a custom, caring, thoughtful and efficient transition plan for you and your loved ones. We are a team of professionals with over 30 years experience in relocating, planning and design. We are fully licensed, bonded and insured. Call today for a FREE in-home consultation & estimate.